It’s the first Wednesday of the month, which means it’s Spirit Day! 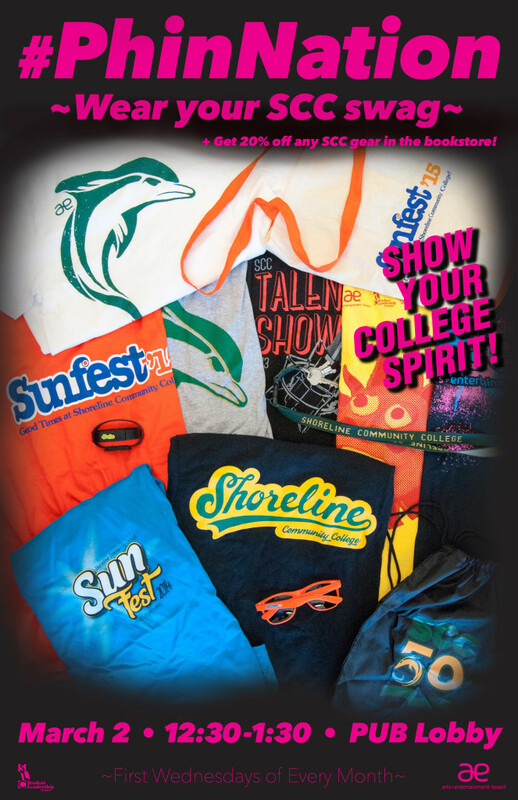 Wear your Dolphin gear (20% off in the book store on Spirit Days) and show your school pride and come join us in the PUB lobby from 12:30-1:30 p.m. for fun, music, and giveaways! Mark your calendars for three “from Margin to Center” events next week!